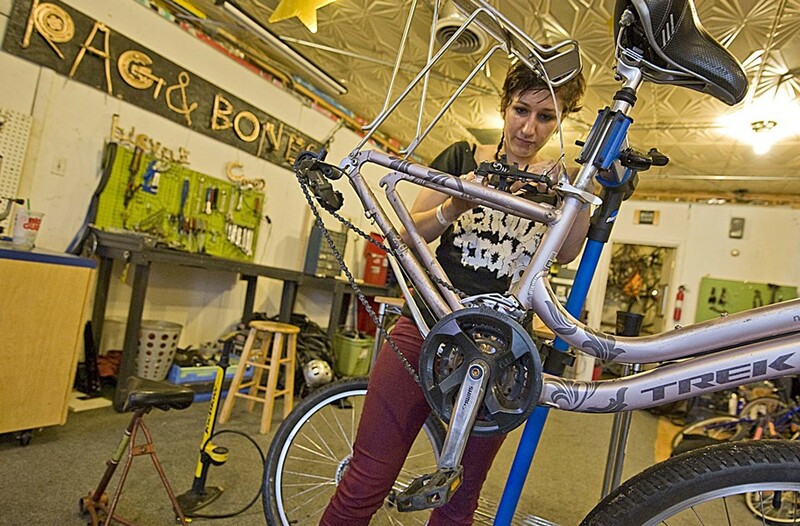 Ash Daniel Rag & Bones Bicycle Co-op staff member Sera Stavroula works on a bike in the Scott's Addition business. The Rag and Bones Bike Co-op in Scott’s Addition is run by volunteers who are happy to teach you how to fix your bicycle and provide the tools and materials. Don’t have a bike to fix? They’ll sell you an old one and show you how to get it running. At 3110 W. Leigh St., it’s open Tuesdays from 5-9 p.m. and Saturdays from 1-5 p.m.